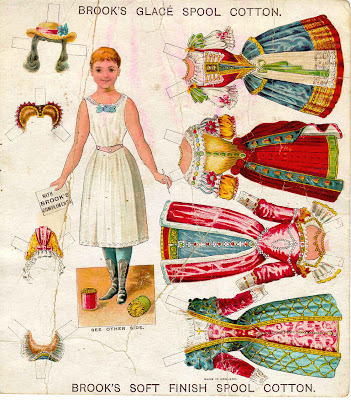 I have always LOVED paper dolls. When I was little I remember cutting them out and folding the tabs just right – so I could change the outfits over and they wouldn’t fall off. I was never really a doll person (that was more my sisters love – she was right into Barbie there for a while – but I really just liked the plastic wardrobe with the little drawers, a mirror and the tiny coat hangers). 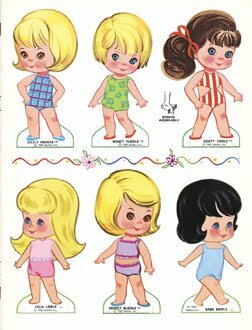 I have a few paper doll books now that I have collected over the years. I have done one or two with Kitty – but most of them I feel like they are too ‘good’ to cut (isn’t that funny….) and so we just get them out every now and then and look at the pictures. 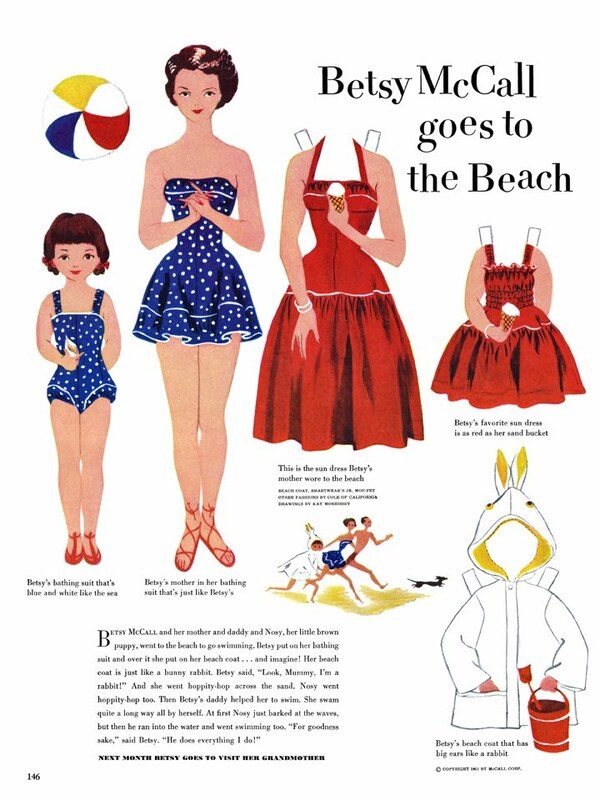 Apparently paper dolls have been around as long as there has been paper. Faces or other objects were applied to the paper and they were used during religious rituals and ceremonies in Asian cultures many centuries ago. 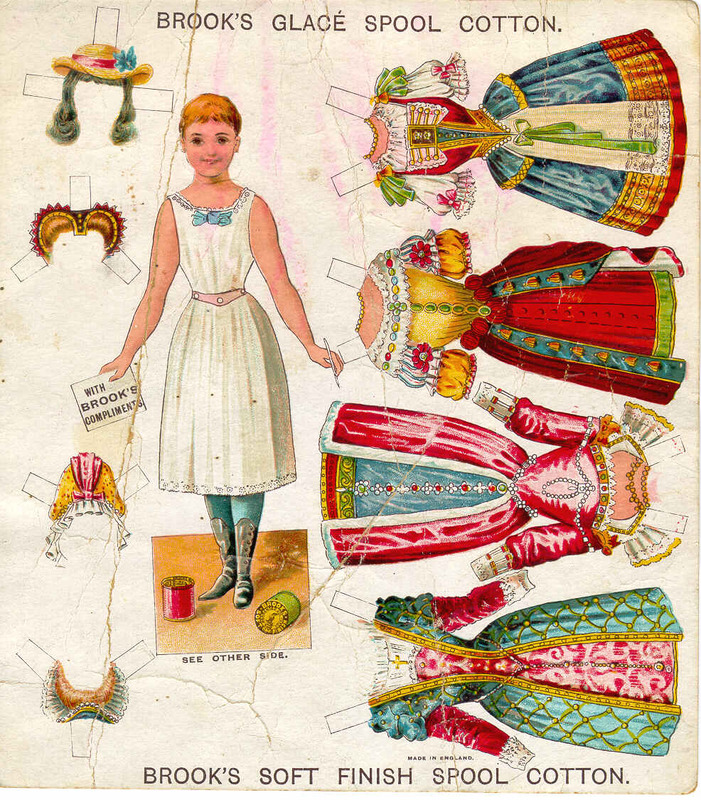 In Europe, particularly France, the first paper dolls were made during the mid 1700s. The paper was jointed and they were called pantins meaning dancing or jumping jack puppet. They were intended to entertain adults and spread throughout high society. They were drawn or painted like people with fashions for each doll. 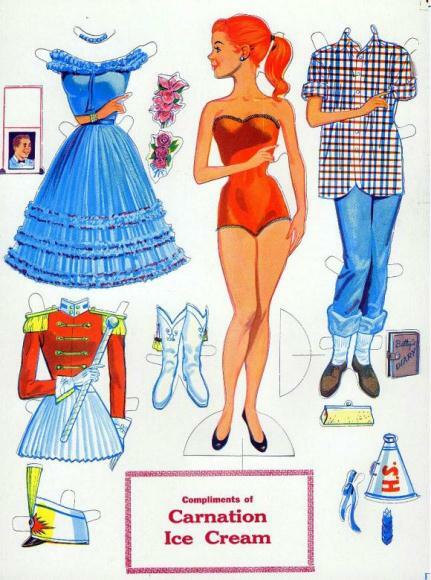 These were more similar to contemporary Western paper dolls. 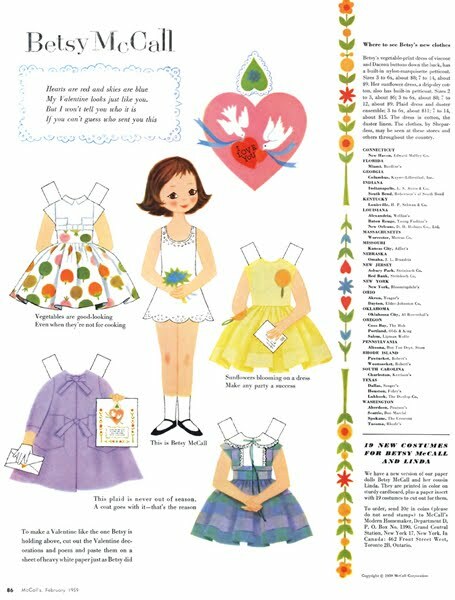 When I was looking for various paper doll images to go with this entry I found the most fantastic website of Betsy McCall paper dolls from 1951 to 1961 all scanned from the originals and ready for you to download, cut and play. How fantastic! I got totally engrossed in looking through all the different ones – they are just so gorgeous and I really loved them all. Next time you have a spare afternoon on a wet and rainy – indoor activity kind of day – I can highly recommend a visit with Betsy McCall – she’ll keep you entertained for hours! Oh, yes! I'd forgotten the joys of paper dolls. Thanks for the reminder Morgan! Hi! 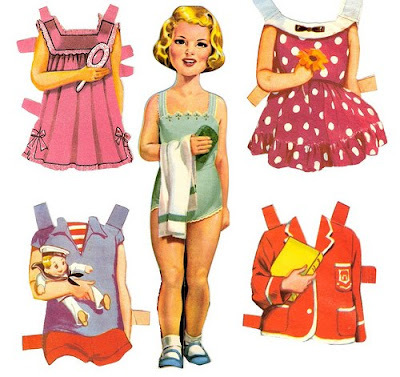 I followed your link on facebook from Meet me at Mike's status- and I love your blog :) The paper dolls are to die for!!! TFS the link. Gotta take a look.